The powers that be sitting at the controls of the music industry will likely be implementing a global release date that would result in all new music around the world being released on a Friday. Here in the US, our street dates occurs on Tuesdays. The reason behind this change is to to combat piracy, Billboard reports. The main reason why the industry is moving toward a global street date — instead of letting each territory pick the day that they feel is best for their respective markets, which is the way it works now — is to cut down on global piracy. 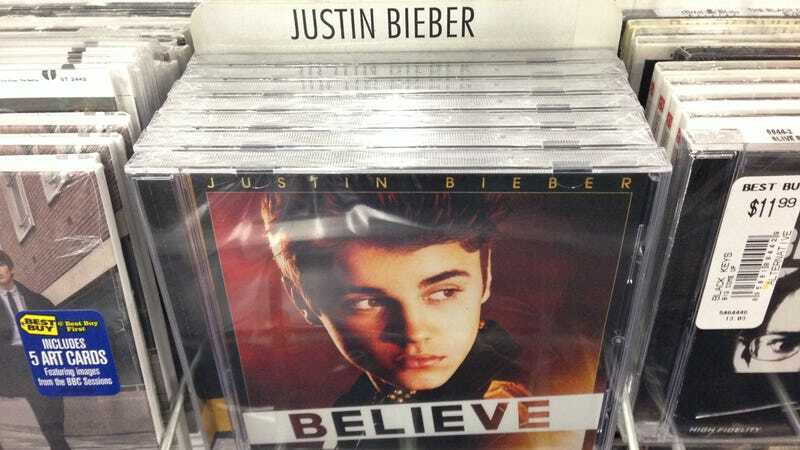 Retailers of physical albums (yes, they still exist) are none too pleased with this arrangement. Many prefer album releases to occur earlier in the week so they have more time to move units. "This global street date is necessary for the industry but unfortunately it will be awkward for the physical retailers to change their ways of doing business," says one label executive. "Now, they could have two-thirds of their sales in one day," which would impact retail operation. Since no one, especially in the music industry, really gives a damn about physical records anymore, I doubt their resistance will make much of a difference. The thing is, if the whole goal of this change is to temper piracy, it seems like a lot of work for minimal outcome. First of all, albums will still leak. Even if the hard copies are shipped a few days later, it just means the pirating will happen a few days later. This also seems to assume that people pirate music from international markets because they haven't had a chance to buy it legally in their own countries yet. If they believe that, then they do not understand how piracy nor millennials function. If you tell me that I will still be able to download an album for free, but I'll have to wait a few days, I'll probably just stream it online somewhere and wait to download it once it's available. So maybe it will help a bit, but is it worth the hassle? As it stands in the US, Tuesday is the day that most entertainment, other than movies, are released. Entertainment software, home videos and books are all released on Tuesdays. Billboard asks the question of whether or not these industries will change along with the music industry so that the consumer can buy all their new entertainment on one day. I am guessing they will not. The entire assumption seems based off that notion that people are still rushing out to actual stores to load up on new entertainment. Every single on of those things can be obtained over the internet. Just like the albums they think they're going to stop from being pirated.